Jon Wood is a marine biologist with a master’s degree in aquaculture from the University of Stirling, Scotland. He has been a fish farm consultant for more than fifteen years and when he’s not studying fish you can often find him trying to catch them. Apart from carp, Jon also has a soft spot for surfcasting and holds the IGFA World Record for small-eyed flounder. Currently he's completing a PhD at the Universidad de Chile where his research is involved with increasing appetite in fish. 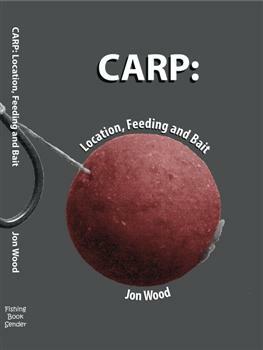 Jon has written for several angling magazines and has previously had two other fishing books published. Order now for the special discounted price for the softback edition. £17.99 Plus 2.95 P&P Available for immediate delivery. The first 100 hardbacks purchased will have a signed (By Jon Wood) and numbered certificate. If you have pre-ordered a numbered edition then please choose the Hardback option below and I will ensure that a "Limited to 100" edition is despatched to you. £22.99 Plus £2.95 P&P expected in stock for immediate delivery. Thanks Dave, I've just got back from a few days fishing and the book was waiting for me. Hope all is going well and you are catching a few.